Some new trends in the Audio Devices Technology of 2017 are Smart earphones, Bluetooth 5.0 and higher resolution audio, these are just some of the trends that’ll rejuvenate audio devices in the new year. Audio devices have gone through a wide-ranging phase of development in the past few years but what has not changed is the demand for good audio quality. Audio companies are now moving more towards wireless audio technology. Even Apple this year has dropped the wired headset and has come up with wireless Bluetooth. Let’s see what other trends may come into play to take the audio devices to next level. High-resolution audio Now the HRA i.e., High-Resolution Audio is in trend. Devices from Astell & Kern, LG, Samsung, Sony, FiiO to Pioneer are already in the market with the hi-res audio compatible products and other top manufacturers and music publisher are also looking forward to supporting the HRA. 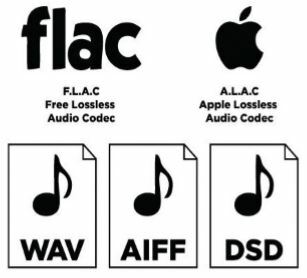 High-Resolution Audio is the collection of digital processes and formats of music using higher sampling rates than the standards used in CDs. It is a collection of digital processes and formats of music using higher sampling rates than the standards used in CDs. The HD audio term is used for those devices that can provide high fidelity of sound production. HD audio refers to audio more than 44.1KHz sample rate at 16bit depth (CD-DA) or higher. It usually has a sampling frequency of 96 kHz or 192 kHz at 24-bit, but you can also have 88.2 kHz and 176.4 kHz files too. 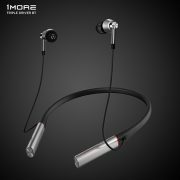 As the consumers move towards the wireless headphones, they want to experience the excellent sound quality. The Qualcomm’s aptX technology is now enabled in the Bluetooth devices to process the High Definition audio. This technology will preserve the sound data quality through the audio transmission, resulting in a ‘better-thanCD’ sound quality. The aptX audio codec supports the 24bit music quality in real-time streaming over Bluetooth A2DP (Advanced Audio Distribution Profile) connections between source devices such as Smartphones tablets, laptops and sink devices such as Bluetooth stereo speaker, headset or headphones. If the A2DP profile is not present in the device, this means you’re not able to get the high-quality stereo sound. There are many devices in the market already with this technology such as LG TONE Platinum (HBS-1100), Photonics Harmonics, Audio-Technica ATH-DSR9BT Brainwavz BLU-100 and more. AirPods and Bragi Dash give us some idea about what would further happen in the headphone to make them smart. In the coming years, we can except that the earphone would be a lot more than a just a gadget to hear the music. 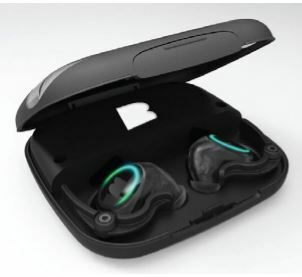 Now the headphones can track the fitness status and digital assistant, the Bragi Dash is one example of this. The Dash can store up to 1000 songs and has optical touch controls. Also, various audio companies try to find a way to create a headphone that can translate the foreign languages on the fly or have selective noise canceling. Maybe tomorrow you would see a headphone that can fit in augmented reality devices and become more smart and efficient to stream music or respond towards the outside noises. Companies like Apple & BRAGI have already set a ground for the future earphones. The Bluetooth is a ubiquitous technology found in almost all wireless and now even in wired speakers. The latest Bluetooth technology is now more energy efficient and is called Bluetooth low energy. The Bluetooth 5.0 can add new benefits to wireless devices because it is designed to consume less power and will significantly increase range, speed and broadcast messaging capacity. latest features of Bluetooth 5.0 1. Quadruple the range The latest technology BLE 5.0 will offer 4X speed as compared to its predecessors i.e 25MB/s (4.0 version) at low power consumption. This means Bluetooth 5.0 can also able to replace the WiFi communication technology for most IoT applications. The latest technology BLE 5.0 will offer 4X speed as compared to its predecessors i.e 25MB/s (4.0 version) at low power consumption. This means Bluetooth 5.0 can also able to replace the WiFi communication technology for most IoT applications. Right now, we don’t have any official info about what kind of hardware compatibility is required for the 5.0 version. It can be new hardware or software update such as Bluetooth 4.0 Version updated to 4.1 and 4.2 using Software updates. But there might be hardware changes because here SIG is changing the version. So, that means your old devices is not going to get the latest version of Bluetooth. The transmission speed of Bluetooth 4.2 version is 200 feet but the arrival of 5.0 version will double the transmission speed and range i.e. 400 feet with 4x speed. Have you thought about listening to music while swimming under water? There are earphones available in the market that are completely waterproof. 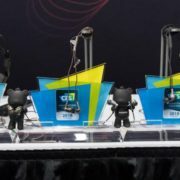 Photive PH-BTE50, Plantronics BackBeat, Sony Walkman NWZW273S are some examples o f waterproof earphones. 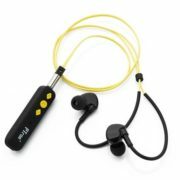 The waterproof earphones are something in which everybody is not interested but in waterproof Bluetooth speakers, you might be. The Wireless speaker are now on trend due to their portable size and good sound. Many wireless speakers are available in the market that are rated IP and are designed to handle more than just splashes, smashes, snow and sand. Even they can be submerged in water 3.3 feet deep for up to 30 minutes. This shows that waterproof is not limited up to your smartphone & watches. Audio industry is also taking it seriously. 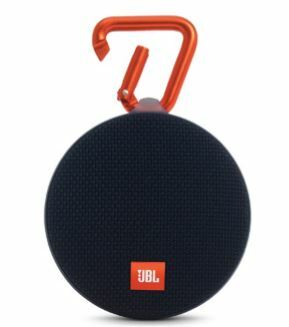 JBL Charge 3, Braven BRV-XXL, Skullcandy Air Raid are some examples. 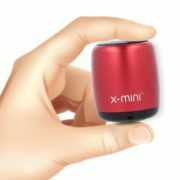 As Bluetooth speaker becomes portable and compact, this also increases the accidental drop of the speaker. 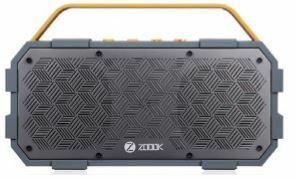 So, the new trend which has seen in the portable speakers is rugged speakers. The rugged is added in any speaker by providing an extra layer of protection outside the speaker to protect it from exterior shock and scratches. It is perfect for extreme athletes and outdoor adventures. Battery powered speakers are now common in all portable speakers. Also, manufacturers are continuously working on the battery backup, a good battery enabled Bluetooth speaker can give you 6 to 7 hours’ backup at full volume.